We’ve been assisting Brazilian floral artist Zita Elze with her online communications, including her blog and social media profiles, since 2014. We also assist with PR, events, photo and video shoots as required. 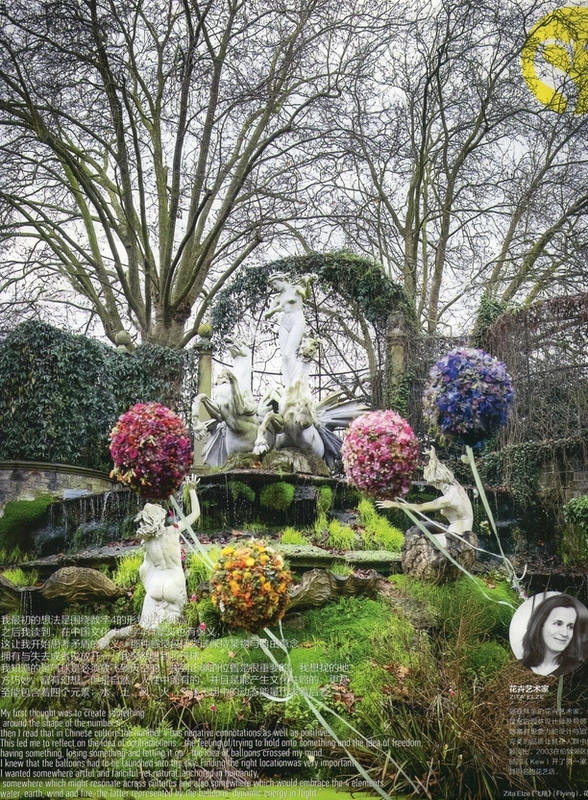 Shown below an early collaboration for Harpers Bazaar Art China with James Merrell, a specially commissioned floral art piece entitled Flight photographed at the cascade, pool and oceanides statuary in the gardens of York House, Twickenham, December 2014. We also love Tatsuya Shirai and Julian Winslow’s work, which has been featured on our blog. Find out more about Zita Elze, an award-winning floral artist, designer and teacher famed for her ethereal style and floral embroidery projects. Watch Zita create a spectacular flower wall for Fashion Parade London at the Saatchi Gallery in June 2015, with thanks to Adrian Stone at The Dreamcatchers for the video footage below and William Topley for the music.